MIICT is implemented by Consortium of 15 entities present in 11 EU member states. The Consortium has an end-user presence, and offers a range of partners with complementary skills across the various aspects of the project value chain, with all partners offering substantial expertise in their chosen field or domain. 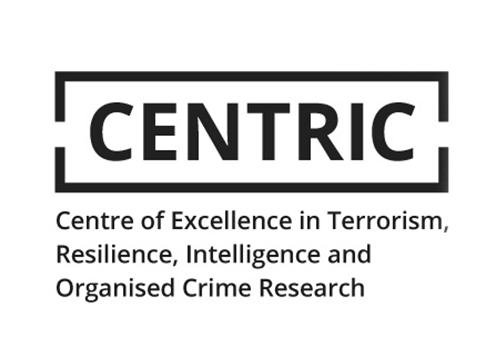 CENTRIC (Centre of Excellence in Terrorism, Resilience, Intelligence & Organised Crime Research) is a multidisciplinary, security-focused research centre situated within the Cultural, Communication and Computing Research Institute at Sheffield Hallam University. The strategic aim of CENTRIC is to develop and facilitate the collaboration between four key stakeholders in the security domain: Citizens, Law Enforcement Agencies (LEA’s), Industry and Academia. Consequently, CENTRIC is able to provide solutions to some of Europe’s most pressing contemporary security challenges by delivering ground-breaking research, advanced technological capabilities, professional expertise and training. CENTRIC has close links with a number of local, national and international LEA’s and security specialist groups as well as collaborating leading technology providers. This enables CENTRIC to offer innovative solutions informed by the operational reality of modern day law enforcement. CENTRIC has a range of colleagues across government, academia and the private sector. The team has experience of coordinating more than 20 independent EU and International research projects. The staff and partners of CENTRIC have a strong applied orientation and proven track record in multiple disciplines. 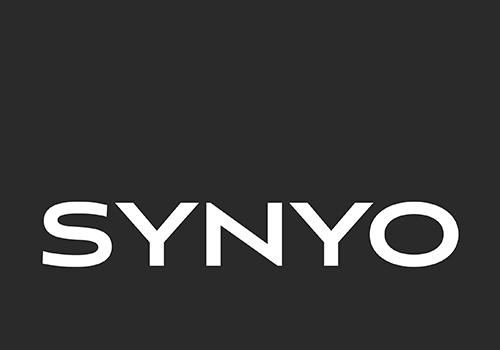 SYNYO is a research-based company focusing on social science, innovation and technology. It is located in 2 offices in Vienna, Austria. SYNYO explores, develops and implements novel methods, approaches, technologies and solutions in various domains with a particular focus on tackling societal, political, ecological and economical challenges. SYNYO analyses the impact of emerging technologies from different angles and from an interdisciplinary perspectives. The team at SYNYO consists of high-skilled employees specialized in several scientific and technical fields such Social Sciences, Migration, Safety & Security, Urban Space, Digital Systems and Smart Technologies. The team of SYNYO consists of 25 employees working on national and international projects. The SYNYO consists of a broad variety of European and international partners, who are collaborating on projects, networks and services development. In 2015 and 2016 SYNYO was among the Top 3 most successful research-oriented SMEs in Austria (H2020 Performance Monitor by FFG). 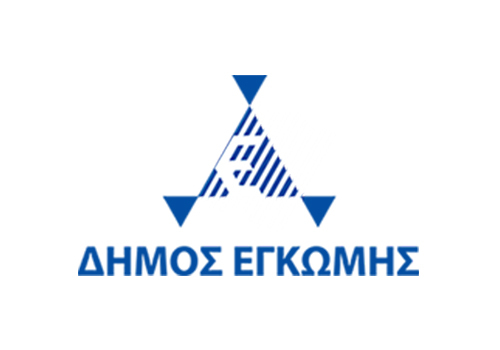 The Center for Security Studies (KEMEA) is an established research center since 2005 within the Hellenic Ministry of Citizen Protection. 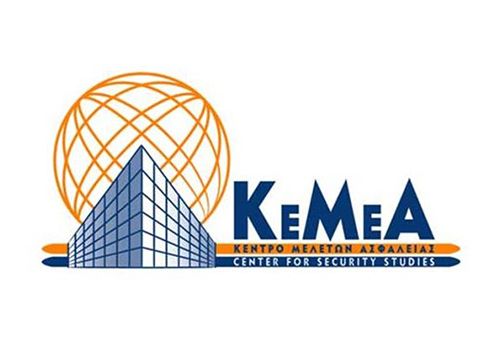 KEMEA acts as a think tank on homeland security policies aiming to support security policy implementations in Greece and Europe at a strategic level leading and participating in more than 90 National and European security projects during the last decade. Laurea University of Applied Sciences operates in Helsinki region, Finland, at six different campuses. There are about 7800 students, 500 staff members and more than 24 000 alumni in our community. The fields of study of altogether 16 degree programmes range from Business Management (Including Security management and ICT) to Social Services and Health Care, and Hospitality Management. Laurea was the most appealing university of applied sciences in the joint application process of spring 2018 in Finland: 5.83 primary applicants per starting place. In addition, the employment rate for graduates one year after graduation is very high: 93.7 per cent. 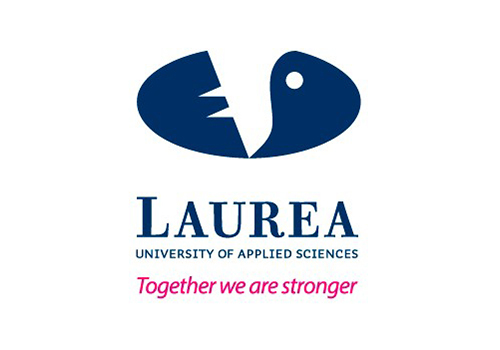 Besides educating future professionals, Laurea runs a portfolio of over 80 nationally and internationally funded research projects. Research is carried out under five programmes: Coherent Security, Holistic Health and Wellbeing, Service Design and Business Models, Entrepreneurship, and Pedagogics. The three first ones are most pivotal to the MIICT project. 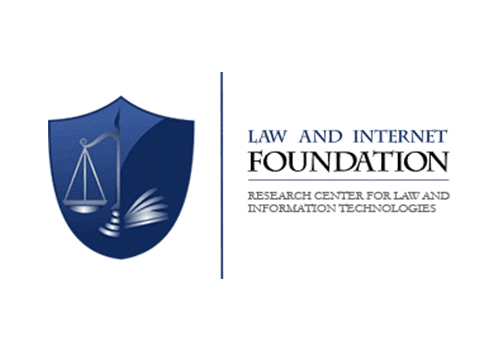 Law and Internet Foundation (LIF) is a Research Centre, which initiates and supports activities for implementation of scientific and applied researches, studies, programmes and projects in the field of new technologies and technological development; social entrepreneurship; transfer of knowledge, expertise and mentorship for students and young researchers. LIF is established under Bulgarian law as a non-for-profit organization which primordial mission is to facilitate the the fast penetration of the information and communication technologies (ICT) in both the public and the private sphere, as well as to the development of the ICT law and the implementation of interactive projects and solutions. Among LIF team’s research areas are legal issues and practical aspects in the field of electronic trust services, e-identity, e-government, e-commerce, e-communications, e-health, e-justice (incl. cybercrimes and electronic evidence issues), privacy and data protection, criminal law, IPR protection online, etc. Advanced Integrated Technology Solutions & Services Ltd is a Cyprus-based Small Medium Enterprise (SME) established in 2011. 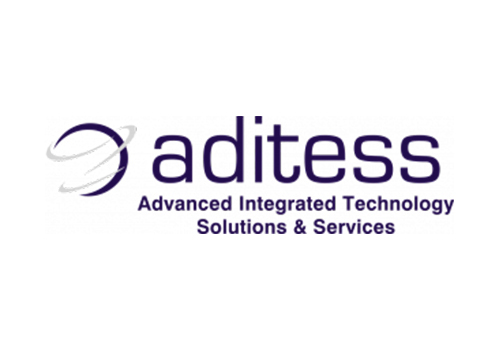 ADITESS is a scientific, consulting, and research company whose purpose is to conduct theoretical and applied research and to produce studies, at strategic and tactical level, on issues concerning Security policies, Critical Infrastructure Protection, Aftermath on crisis events, Transportation security and Border management (monitoring and surveillance), modeling solutions and to develop state of the art applied Security Solutions in the above-mentioned areas. ADITESS’ staff composed of dedicated and experienced professionals who have outstanding professional and academic experience in the area of security and have been involved in EU Research Programs as well as national and international projects for several years. Consisting and cooperating with consultants – researchers with professional and academic experience and a long-standing history in proposal preparation, project management and R&D activities, ADITESS LTD is at the forefront of our offering with clients stemming from a multitude of technological domains, such as Security, Defense, Information and Communication Technologies. Furthermore, a number of ADITESS researchers come with ex-military and ex-police forces background in IT Security, Electronic Warfare (EW) and Signal Intelligence (SIGINT) in large-scale National and International operations, over the last fifteen years. This field experience is enhanced by high academic knowledge especially in the security (IT, UAV systems, Electro-optics, Communication, etc.) system’s area. The Centre for Research and Technology-Hellas (CERTH), founded in 2000, is the only research centre in Northern Greece and one of the largest in the country. CERTH has important scientific and technological achievements in many areas including: Energy, Environment, Industry, Information & Communication, as well as several cross-disciplinary scientific areas. Today CERTH consists of five institutes. 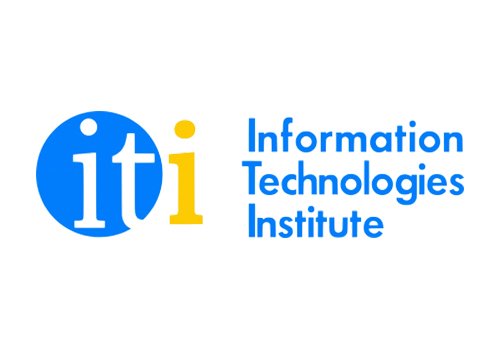 The Information Technologies Institute (ITI) (one of the five CERTH’s institutes) was founded in 1998 as a non-profit organisation under the auspices of the GSRT, with its head office located in Thessaloniki, Greece. The participating team, namely the Multimedia Knowledge and Social Data Analytics laboratory (MKLab), part of the ITI, has significant experience and scientific expertise on the technical aspects relevant to MIICT, such as content and service representation, semantic integration of heterogeneous resources, semantic reasoning, web and social media mining, and the discovery and extraction of multi-modal data coming from heterogeneous Internet sources such as web resources, social network and open data repositories. 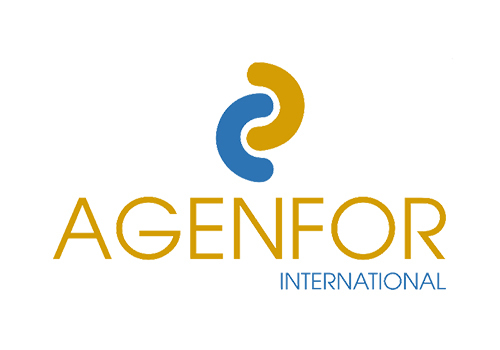 Agenfor International, created in 2016 as an independent branch from the long established Agenfor Group, is the International member of non-for-profit network specialized in participative security. Its specific sectors of interests are security and human rights. The main office is in Milan (Italy), with branches in Padua (Italy), Lugano (Switzerland), Tripoli (Libya) and al-Qamashly (Syria). Over the past years Agenfor has led several EU funded projects operating in the field of prison and probation, minorities, and counter radicalization. Public-Private partnership and multi-agency approaches are a substantial part the organization’s work. Agenfor International is active in the field of counter-radicalization with training courses and research activities addressing the needs of first-line practitioners from the public and private sectors all around Europe. It connects communities and local leaders or experts to institutions, with the aim to share experiences, information and best practices. 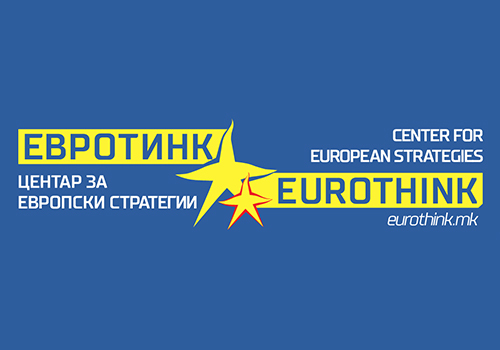 EUROTHINK – Centre for European Strategies is founded in September 2002, it is a non-governmental, non-profit, non-partisan, think-tank organization that facilitated the EU Accession of the Republic of Macedonia through professional training, consultancy and lobbying for societal change. In order to facilitate social change, Eurothink developed a strong emphasis on social research. Generating valuable insights into issues of societal relevance help understand and support inclusive, reflective and sustainable societies. Rather than focusing on one special subject in social sciences, Eurothink attaches great importance to its multidisciplinary and interdisciplinary approach. The network of researchers, experts and consultants with which Eurothink has grown over the years, have enabled the emergence of research processes and proprietary methodologies which are designed to convert complex information into clear and precise insights for developing definitive actions addressed to various stakeholder groups. 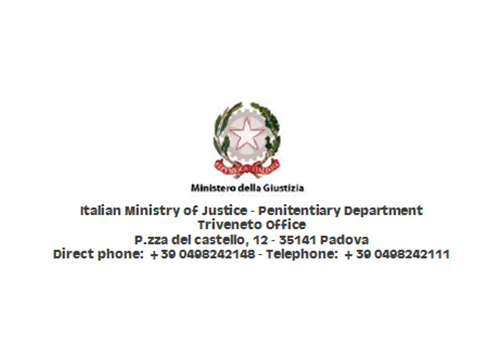 The Provveditorato Regionale is a peripheral organ of leadership of the Ministry of Justice. It’s competent in matters of personnel, organization of services and institutions, detainees and internees, relations with local authorities, the regions and the national health service, performing these tasks at the local level according to the plans, guidelines and directives laid out by the Central Department of Penitentiary Administration based in Rome and in order to ensure the uniformity of the actions run within Italian prisons. Every year this Office arrange an Annual Training Plan, accordingly to the central administration guidelines, whose aim is to meet the needs of the personnel of every local district. Investigation and Security are also important fields of action. The Office for Triveneto is Lead Partner and Consortium Partner of several European projects. 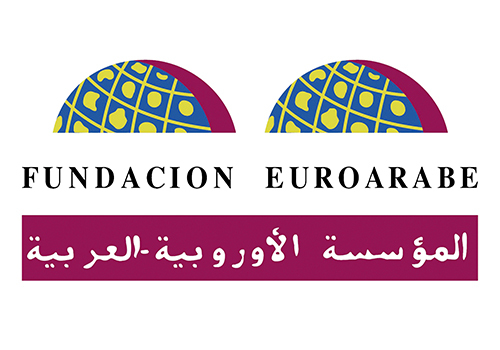 The Euro-Arab Foundation (FUNDEA) is a highly specialized institution that works within the fields of cooperation, training and research, creating a space for dialogue and collaboration between the countries of the European Union and the Arab League on the one hand, and between the local, regional, national and European social and institutional actors and its Arab and Islamic communities agents on the other. FUNDEA is a non profit research, education and cultural institution located in Granada (Spain) and ruled by a joint Board of Trustees chaired by the Spanish Ministry of Science, Innovation and Universities. The Board of Trustees is further composed by two representatives from the University of Granada, two from the Ministry of Science and two from the Government of Andalusia. The Foundation is entrusted with promoting cultural, scientific and academic relations between Europe and the Arab World, throughout the dissemination of scientific and humanistic knowledge produced in universities, research centres and civil society organizations, in order to contribute to the reinforcement of dialogue. 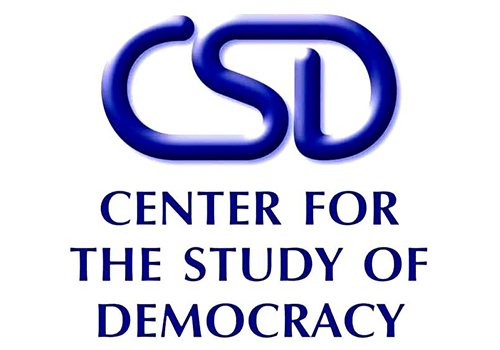 Founded in late 1989, the Center for the Study of Democracy (CSD) is an interdisciplinary public policy institute dedicated to the values of democracy and market economy. CSD is a non-partisan, independent organisation fostering the reform process in Europe through impact on policy and civil society. monitor public attitudes and serve as a watchdog of the institutional reform process. The CSD has continuously pioneered in areas traditionally perceived as the inviolable public property, bringing cutting-edge solutions to transition problems as a way of keeping the middle ground between academia and social practice. 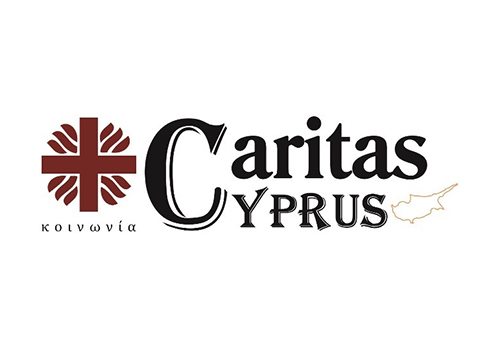 Caritas Cyprus works to serve the poor and promote charity and justice for the most vulnerable members of society. Each month, Caritas provides food and social support to hundreds of families through its parishes across the island. Likewise, it assists an increasing number of migrants, asylum seekers, victims of human trafficking and refugees as they navigate the difficulties of displacement and integration. It operates migrant centers in Nicosia and Larnaca that provide a range of services to the needy as well as two transition shelters—one for vulnerable men and one for at-risk women and women with children. Caritas Cyprus works at the grassroots level to address hunger and homelessness; to improve educational and economic opportunities for youth; and to ensure access to basic legal, administrative, health and psychosocial services for all. Engomi became a Municipality in 1986. The mayor today is Mr. Zacharias Kyriakou, a Sport reporter journalist. Engomi is one of the most developing residential areas of Nicosia district, with a population of 30.000 inhabitants, over an area of 11 square kilometers. The two private Universities in Nicosia are located in Engomi (University of Nicosia & European University).Hosts more than 3,000 foreign students, including students from third countries. The Municipality of Engomi has been participating for the last 4 years in programs for the integration of third-country nationals. Municipality of Engomi is a partner for the last three years in the European Project “New Channels for the Integration of Third Country Nationals in the Local community’, with the Municipality of Nicosia as a Leading Partner. Municipality of Engomi it is also a partner in the Mediterranean Migration Network for the last 4 years. Municipality of Engomi participate as a partner in the European Program “Youth Empowerment and Innovation Project” (YEIP) which is a 3-year Erasmus+ funded program that aims to design a youth-led, positive policy prevention framework for tackling and preventing the marginalization and violent radicalization among young people in Europe. ALDA is a non-governmental organization dedicated to the promotion of good local governance, namely through the empowerment of civil society and the promotion of active citizenship. It works in Europe (28 EU members states), in the Balkans and in the last years, in South Caucasus and North Africa. 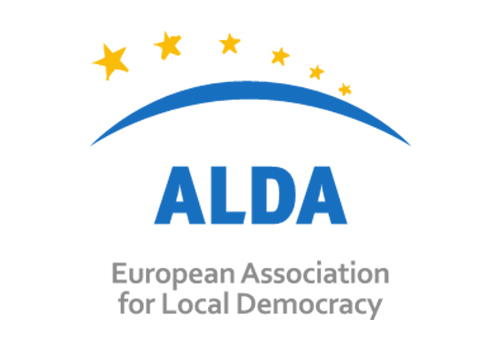 In the framework of promoting good governance and citizens participation at local level, ALDA focuses on various themes, such as European integration, civic initiatives, youth involvement, human rights, immigration, equal opportunities, sustainable economic development and volunteering. ALDA is a membership-based organization gathering more than 300 members (including Local Authorities, CSOs, youth associations, Universities) coming from more than 40 countries. ALDA is funded through membership fees and project funding from the European Commission (Europe for Citizens and ERASMUS + among the others), the Council of Europe and other public and private donors.